The ASUS ZenFone AR Price & Key Features Revealed! 1. Page 1 : The ASUS ZenFone AR Revealed! 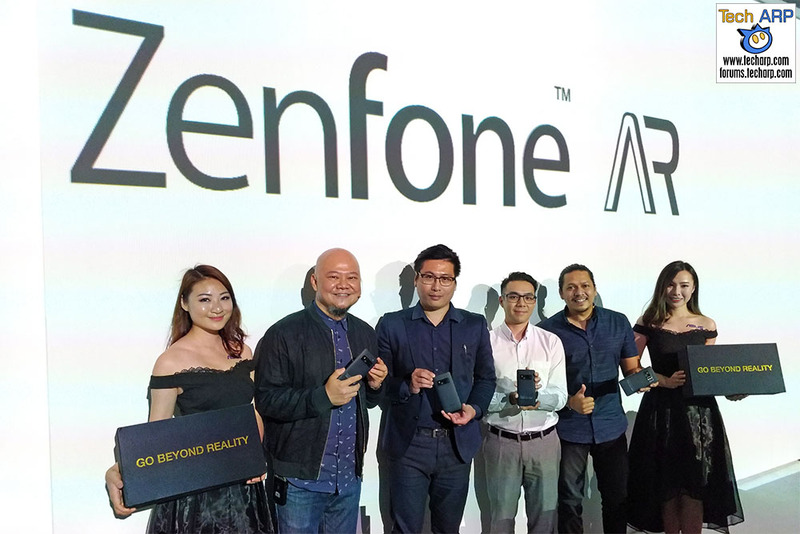 ASUS just launched the ASUS ZenFone AR – a new-generation smartphone optimised for virtual reality and augmented reality technologies. In fact, it is the first ASUS smartphone to be Tango-enabled and Daydream-ready. Find out what the fuss is all about, and how much the ASUS ZenFone AR (Price Check) will cost, and more! Introducing the new ASUS ZenFone AR (Price Check) is Li Huai Pin, ASUS Malaysia Consumer Product Lead. He shares with us the key features of the ZenFone AR smartphone, as well as its local price and availability. Here is a clearer version of the product video that was shown before the ASUS ZenFone AR (Price Check) presentation began. What Is Tango & Daydream? The ASUS ZenFone AR (Price Check) AR is Tango-enabled and Daydream-ready smartphone. But what does that mean? Tango is a set of sensors and computer vision software Google developed to enable augmented reality in smartphones. It adds motion tracking, depth perception and area learning capabilities, to enable the creation of augmented reality experiences. Daydream, on the other hand, is the Google mobile virtual reality platform. The ASUS ZenFone AR can be paired with the Daydream View headset and controller to allow the user to enjoy virtual reality movies, games and apps. How Useful / Fun Is Augmented Reality? You may be wondering – how useful or fun is Augmented Reality (AR)? What exactly can you do with the ASUS ZenFone AR (Price Check) that you cannot do with any other smartphone? This ASUS video demonstrates three augmented reality examples that the ZenFone AR enables. 1-to-1 Exchange In-Warranty is only applicable to ZenFone AR (ZS571KL) only. Exchange is valid only within 12 months from the date of purchase receipt. 1-to-1 Exchange In-Warranty is also applicable to customers of Pick Up & Return service by contacting 1300-88-3495. 1-to-1 Exchange can be done within the same day (only applicable to Kuala Lumpur, Petaling Jaya, Subang Jaya, Puchong, Cheras, Ampang, Kajang and Serdang). If the exchange request is made after 3:00pm, the exchange can only be done on the next business day. The ASUS ZenFone AR (Price Check) will retail for RM 3,799 (inclusive of 6% GST) / ~US$ 899 from 7th July 2017 onwards, bundled with Google Cardboard, a Screen Protector and a Silicone Case. You can order it from Lazada here! Previous : The ASUS Tinker Board Single Board Computer Launched!